They are among the many successful cases of philanthropy work that international NGOs are doing in China. 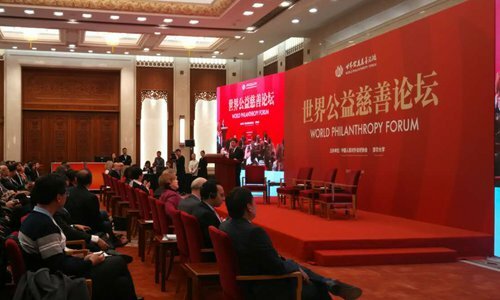 During the Second World Philanthropy Forum held in Beijing in late November, organized by the Chinese People's Association for Friendship with Foreign Countries and Tsinghua University, over 100 NGOs from more than 30 countries shared their experience and views about charitable work and poverty alleviation. Established in 1993, World Vision China, a branch of the 67-year-old international organization, focuses on child care in China's impoverished rural areas. 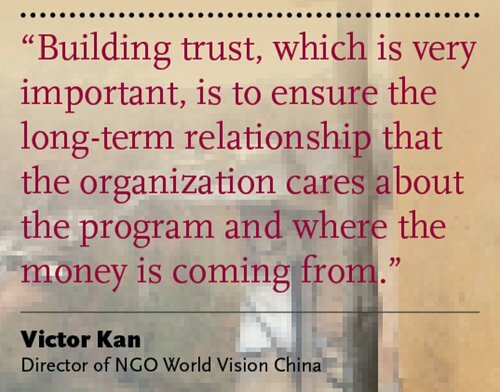 Victor Kan, director of World Vision China, shared his experience with the Global Times about how the organization had made its work here more effective. Every year, the NGO will discuss its own philanthropy programs with different education departments of local counties as well as public health and environmental protection departments, to try to match their programs with the existing plans of the local governments. "We have two principles: first, our programs must be in line with the policies and existing plans of local governments; second, they must meet local needs and be approved by local governments," said Kan. "Reaching agreements with local governments is very important." Years ago, World Vision China set up a program in Ningxia Hui Autonomous Region to cope with drought by planting trees, which had long been desired by the local government. In another case, finding that a county education bureau could not provide enough training for local teachers, World Vision added funds to invite more teachers for training. "In this way, the program can make full use of allocated funds and have a bigger impact on the local area," Kan said. Thus far, World Vision China has operated in 40 counties in 14 provinces, municipalities and autonomous regions. In 2017, it operated 31 child-focused area programs that directly benefited 62,876 sponsored children. Give2Asia, another international NGO, was established in 2001 to strengthen communities throughout Asia by building trusted networks for charitable investment. It has been operating in China for 17 years to support poverty alleviation programs in healthcare, education, livelihood and environment issues. Birger Stamperdahl, president and CEO of Give2Asia, said that every year, Give2Asia supports programs for the education of girls in Luodian county, Southwest China's Guizhou Province, by providing a grant of $15,000. This has forged a very good partnership with the local community. It has also cooperated with other Chinese institutions and agencies such as China Foundation for Poverty Alleviation supporting its programs toward the goals. Give2Asia has been running a program since 2009 with the Robert and Change Foundation, a family foundation based in Silicon Valley. It has supported a scholarship program that has benefited 1,117 primary school students, 839 high-school students and 100 college students in Luodian. It is the first poverty-alleviation program through education ever conducted by the organization and the longest program of Give2Asia, lasting for 17 years with funds reaching $168,000. The ongoing program is estimated to have assisted 380 primary schools, 65 high schools and 25 colleges by the end of 2017. Give2Asia has also operated a joint program with China Soong Ching Ling Foundation, in youth leadership, to help local youth with their development. Around 50,000 young people have received training in leadership over the past 10 years. Give2Asia's headline is "local knowledge counts," meaning "people investing in charitable programs strive to understand the local context and the impact of their giving." "We believe the work should be heavily informed by the local community, who should be the primary voice in deciding where the priorities are for their own development," said Stamperdahl. "That's why Give2Asia always works with partners, whether they are local governments, foundations for other kinds of charity foundations and people who actually in the community that benefit from programs." However, poverty alleviation is not the final objective of these international organizations. "I hope we can help the local community build awareness and a capacity of self-development through our projects by the time we leave. And this is our medium- and long-term goals," Kan said. He stressed that World Vision will not only provide a school or clean drinking water or help children return to school, but it will "change the life of poor local people." "I hope that, through our intervention, we can see the change in their behaviors and attitudes. And that is our ultimate goal," Kan said. However, he admits this is hard work that cannot be accomplished by NGOs alone. "We need partnerships and cooperation for our grass-roots model of poverty reduction," Kan said. Despite achievements in poverty alleviation, international NGOs have also encountered some setbacks in bringing their philanthropy concepts into China's local communities. When World Vision China first started a philanthropy program in an Inner Mongolia Autonomous Region village, villagers held some suspicions toward them since they didn't believe international NGOs could meet their expectations and offer real help. After helping locals reduce their poverty without any other intentions, these NGOs have built up trust by respecting them. Gradually these local communities began to share their own ideas with the organization, which helped the NGO better understand their needs. 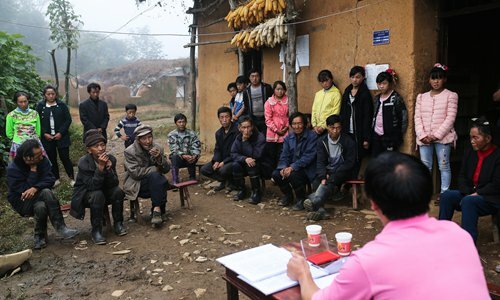 But when a program cannot move forward, World Vision China will communicate with the local governments and promote their projects on a smaller scale. Explaining that if NGOs can sit down and explain in detail their intention and integrate local needs into their programs, Kan said he believes that "90 percent of the problems can be solved." Second, he maintains that transparency is key, as NGOs should take a proactive approach to inform the local people of their program so as to avoid any misunderstandings. "Mutual understanding is essential," said Kan. "I hope NGOs can set up long-term partnerships, which will make our operation more smoothly." Give2Asia plays a role in program management and trust-building so that both the donor and local organizations can have very transparent views about what is going on. "Building trust, which is very important, is to ensure the long-term relationship that the organization cares about the program and where the money is coming from. Our team has been doing a good job in this respect (building trust)," Kan said. Such partners include parents and teachers of the students, community leaders, government officials, academic experts, local NGOs and volunteers, who can all decide the operation of programs. On the other hand, World Vision also hopes to forge a partnership with various sectors of society. "The partnership will not only help the needy and assist the development of the community, but also help donors and businesses in adjusting their ways of operation in philanthropy work," said Kan. "This is a win-win model." Similarly, Give2Asia works in partnership with corporate businesses such as Starbucks, Pepsi and others as well as with family foundations. Give2Asia has set up partnerships with many private donors originally from China who would like to help alleviate poverty in their hometowns. Of all these donors, 16.3 percent are private. "We work with private financiers who have specific interests and deep cultural roots," Stamperdahl said. After the Law on Administration of Activities of Overseas Nongovernmental Organizations in the Mainland of China was promulgated in 2016, international NGOs have adjusted their work accordingly, though some have expressed concerns about its implementation at the local level. Victor Kan, National Director of World Vision China said that as NGOs in China are still in their primary stage of development, it takes time for them to improve. The law concerning overseas NGOs needs to be clarified at the provincial level. Since the World Vision China began operations, it has done everything in accordance with China's laws. It signed agreements with every county it operated in before the new law was issued. Although the law stipulates that all NGOs must register with the provinces they work with, it requires those provinces to put forward a series of adaptive measures for supervision and registration in the local areas. Kan found that the work of administration and supervision has yet to be improved. For example, it takes time before a bank account can be opened for an NGO. In terms of tax benefits, different provinces have different explanations. He suggests government departments should elaborate on how to do their work. Otherwise, it will make the work of overseas NGOs difficult. Overall, the law needs to be clarified so that NGOs are better aware of how to avoid violating the law. Nevertheless, the NGOs say it may take years to build up trust between the local governments and NGOs. Under the guidance of the NGO law, these organizations have done remarkably well in helping local communities, especially in poverty-relief and education missions.